Apartment Olivo 50 sqm for 2 personer or 80 sqm for 4 pers. The apartment rent includes free Wi-Fi, free parking, bed linen and towels and a generously equipped kitchen. Olivo is a very spacious, light and cool apartment. You enter the apartment directly from the terrace, right into the big living room with a tapestry on the wall and furnished with sofa, armchairs TV and stereo. In the combined living room and kitchen there is a large dining table where you can eat supper overlooking the olive grove. In the loft upstairs, there is a charming bedroom with a queen size bed (160 cm), a big wardrobe and a bathroom with toilet and shower. A small picturesque window overlooks the garden and pool. The kitchen has a gas stove oven, large refrigerator combined with a small freezer, coffee maker and a kettle. The kitchen is fully equipped for self-catering with all sorts of dishes and cookware. Iron and hairdryer are also available. The AC system is driven by our self-produced solar energy! The apartment has two private furnished patios. Facing the morning sun you have a patio located just outside the kitchen/living room and another one located in the olive groves with sun all day. 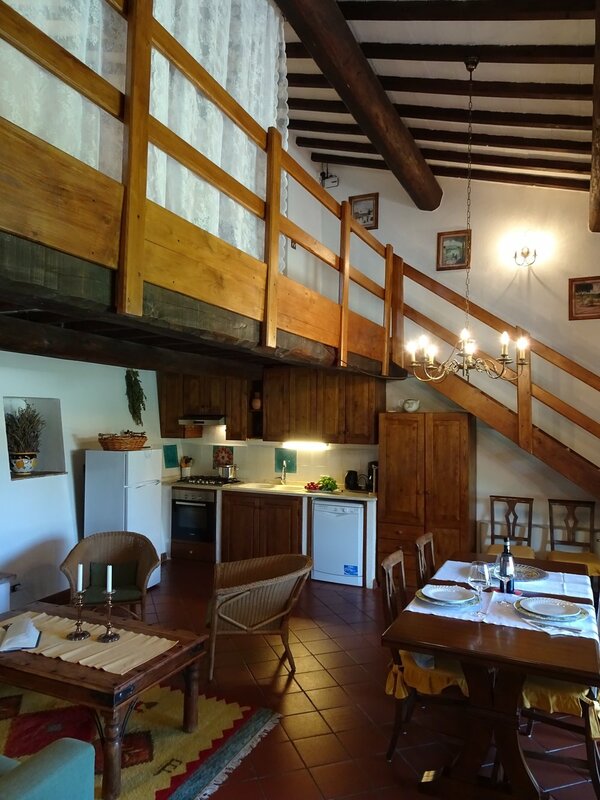 On special request, the apartment Olivo can be rented to four people. In that case we will open a further bedroom combined with a bathroom, with shower on the ground floor of the apartment. 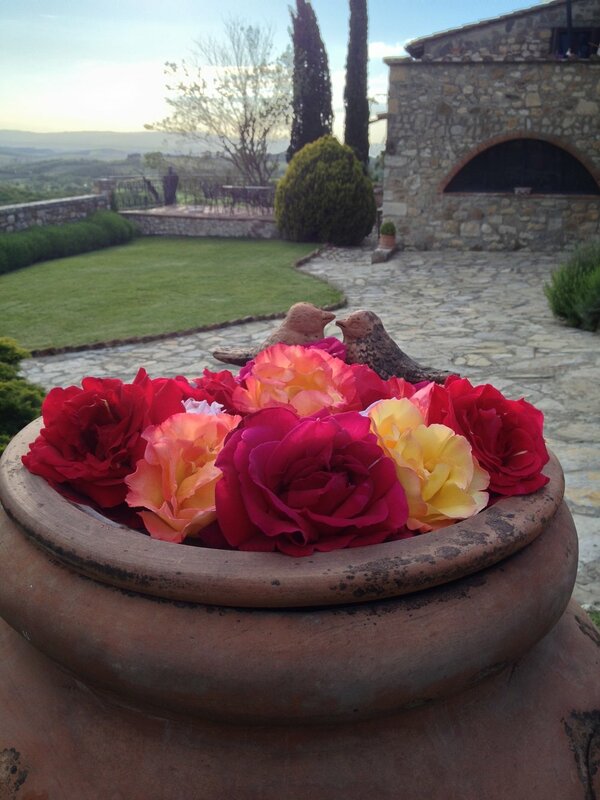 Guests at Residenza Cornino are invited to use the garden and the pool area. Shade is under the pergolas and umbrellas by the pool. The barbeque overlooks the vineyards and the hills. A large pergola is located on the grass area just below the farm facing west. Feel free to use and have a nice evening supper, a glass of wine or whatever you prefer. 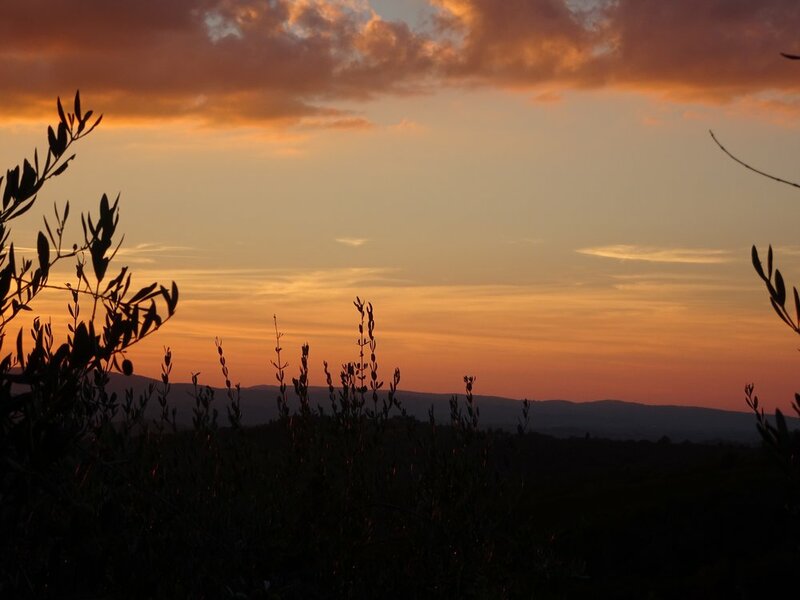 The view is panoramic and breathtaking of gentle hills with vineyards, olive groves and the blue mountains with San Gimignano in the distance. This is the place to be for amazing sunsets !